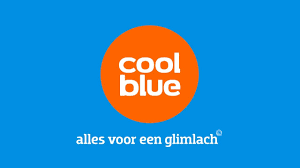 Do you want to copy the success of coolblue.nl by using a multistore solution? Coolblue has made a number of stunning webstores per product category and have improved search engine optimization and increased sales as a result. By creating multiple niche domains they are more likely to rank for more than one store. Customers also tend to prefer niche websites. There are two main reasons for this which is that they feel the store has more knowledge about the products they sell, and that they will receive better support. With our WooCommerce Multistore plugin you can easily sell your stock across multiple stores, but only handle one stock. This saves time and allows you to broaden your horizons. You can even choose to target multiple demographics, with the option to use stores with different languages and currencies. Any payment configuration can also be the same for all the stores, so you will get all your money into the same bank or PayPal account. You can of course also chose to use different payment processors for each store while still managing the inventory if you prefer.